This post describes how to handle scenario level clean-up in a predictable way. Note: This blog post was originally written for SpecFlow 1.9 version. In SpecFlow 2+ version you should use scenario scoped bindings with [BeforeScenario] execution order can be now controlled with an Order parameter. Writing advanced UI tests with SpecFlow and Selenium often requires some test data to be created. During the tests execution this test data is changed. One of requirements for a good test is repeatedness. Test have to be executed multiple times and should complete with the same results. So we need some sort of clean-up procedures for our tests in order to satisfy above requirement. Let’s consider what SpecFlow could offer us in this case. [AfterScenario(“MyTag”)] – code is executed after all the scenarios marked with @MyTag. You could find more info about SpecFlow hooks on the project wiki here. What we could expect when test is finished? That the price for product ‘foo’ is 15$. But what happened when we try to repeat this test? Sure it will fail as now price is 15$. What we need is to organise cleanup action after test execution, so user will be bound to the ABC again. How could we achieve such behaviour? Well using the hooks in such way. Usually logic inside if statement might be quite complex, as it requires some action to do and reuse the our Page Objects. So AfterScenario method become bloated and hard to read. Before TestRun via reflection all the cleanup methods init. Some api response codes, such as 500 for Internal server error, are the same for all API endpoints. Let’s see how to implement such general behaviour using Swashbuckle. 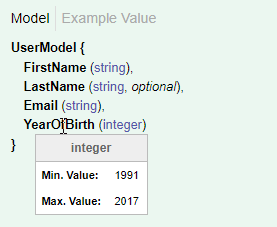 Model above is default for asp.net web api, but it is security issue to expose internal details such Exception stack trace to outside world. Much better is to log exceptions to database using, for example, ELMAH library, and return just Error ID to clients. 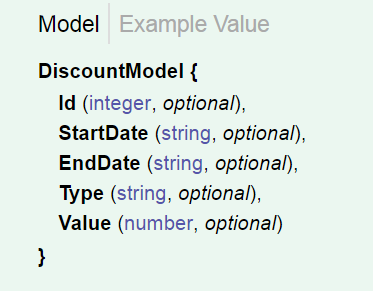 In this post we will see how to extend schema generation using FluentValidation rules. Install latest FluentValidation.WebAPI package into SwaggerDemo project. Now add new schema filter, here we manually inject all the IFluentValidatorSchemaUpdater implementations, but it could also be done using dependency injection library, such as Ninject. 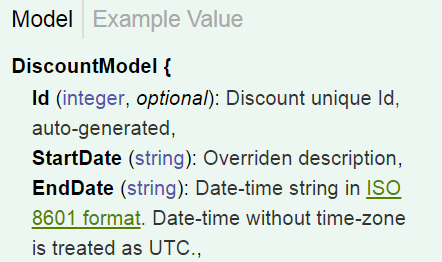 We have seen how to extend Swagger generated schema using FluentValidation rules. 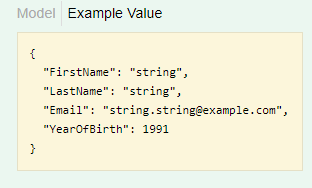 It is a quite common technique to mark particular property/method with custom attribute, that could be used to auto-generate documentation. If get back to previous post, you could see that descriptions for StartDate and EndDate are duplicated. 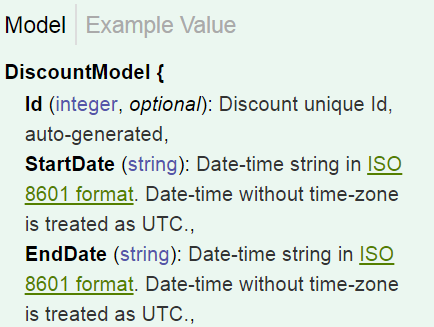 DateTime description shall be consistent across all API, so to not repeat yourself let’s use MapType feature of Swashbuckle configuration. 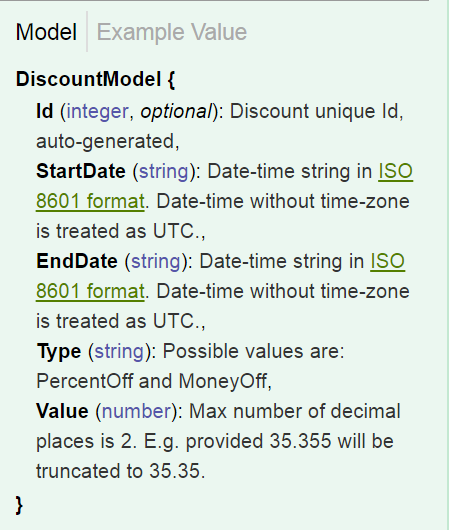 @"Date-time string in <a href=""https://en.wikipedia.org/wiki/ISO_8601#UTC\"">ISO 8601 format</a>. Date-time without time-zone is treated as UTC."